SEO (Search Engine Optimisation) is a critical component of the online marketing strategy of any business out there. If you wish to rank higher on the search engines, we, at Possum SEO, can help your business reach the top with the help of dedicated, SEO services. We are a leading SEO freelancer company offering reliable, professional SEO services to our clients –as per their unique requirements. We help businesses in planning targeted SEO campaigns that help them in driving maximum traffic, sales, and leads. Possum SEO offers the best-in-class local SEO services which will help your business in gaining an insight into the leading SEO strategies and increasing the online visibility of your site on the leading search engines. We have been providing affordable local SEO services across the globe through our extensive knowledge base and relevant expertise in the given field. At Possum SEO, we aim at utilising the combination of productive on-site as well as off-site local SEO strategies to produce the best results for your online business. Having a profound experience in helping the local businesses achieve top rankings on the search engines, we are known to be the local SEO specialists in the given field. We not only help in optimising the overall site for ensuring maximum traffic to your business, but we also help out local businesses in establishing a reliable and reputable brand name. How Our SEO Services Help? Get your site to the top of the search engines through our dedicated range of SEO Specialist services and solutions. We aim at enhancing the overall online presence of your site and work towards improving your site’s ranking on the leading search engines –locally as well as globally. Every SEO service campaign that we work upon is entirely bespoke to your business niche and helps in ensuring the delivery of high-quality, targeted traffic to your site through our comprehensive range of SEO services. Keyword Research and Market Analysis: We help by scanning and researching the given marketplace for your business by identifying keywords that offer the assurance of maximum profit. 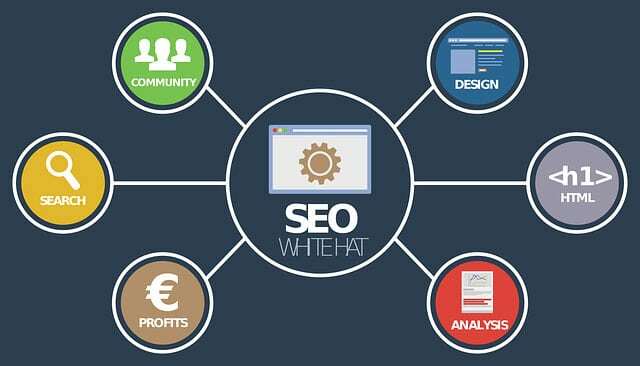 On-page SEO: This type of SEO service is the most vital and offers the assurance of improved page rankings on the different search engines. At Possum SEO, we offer affordable SEO services and help you in improving the rankings throughout. Link Building: Link building serves to be an organic SEO practice that allows the other individual groups and sites to link to the content on your site. It confirms that your site is a trusted source for the provision of products & services. At Possum SEO, we ensure effective link building services to your site for improved results. Competitive Analysis: There are several companies that compete for the same set of keywords. We helping with analysing the strengths & weaknesses of the competitors in your niche and finding new opportunities for continuous online growth. Website Audit & Optimisation: We are committed to helping our clients by analysing the website structure and other vital elements, and optimising the overall performance of your site effectively. Content Development & Promotion: We help the clients in developing highly engaging and user-friendly content to rank high on the search engines. Our SEO consultants promote the same across the Internet for enhanced results for your online business. Reporting & Analysis: Our SEO specialists aim at providing a detailed analysis report on the overall performance of the SEO & digital marketing campaign and optimising it further for future growth. Ensure the best for your online business through professional SEO services from a reliable, local SEO company like Possum SEO.